Yvonne Jobin and her daughter Amy Willier opened Moonstone Creation back in 2009, at a time when Willier just had her son. “It was meant to be,” said Jobin as the store became the solution to Willier’s concern of leaving her baby boy while she worked. Her son “has been raised in the store from the time he was 7 months old,” according to the gallery’s website. “I actually had a home-based business in Calgary for 15 years prior to opening up a storefront,” said Jobin. It was the first step to building a clientele for the future art gallery owner. “It was tough the first while,” Jobin admitted, “because we did it without any kind of funding,” as she recalled having to take some money out of her mortgage, although not much, to start off the store. Jobin also began asking friends if they had furniture they did not want as she prepared the store before it opened to the public. 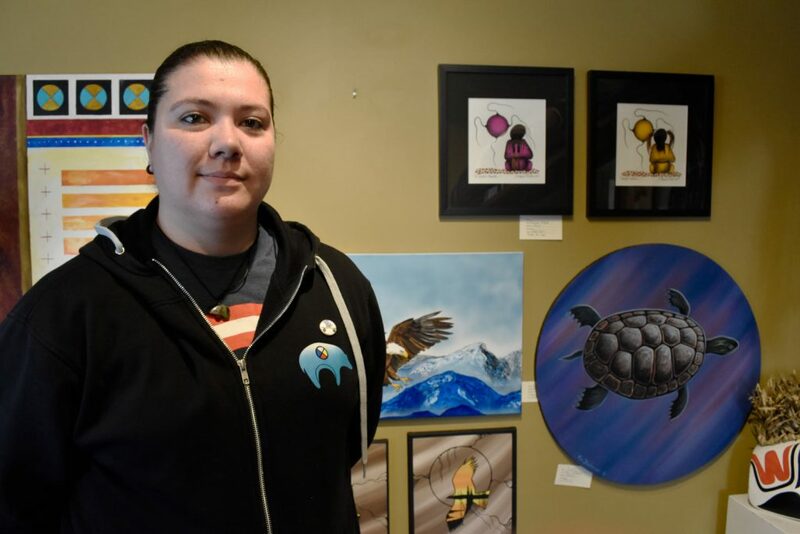 Jobin’s interest in art began years ago when she was a student at the Alberta Vocational Centre in Grouard, Alta. Art became so natural to Jobin, although she had never done similar work before, that by the end of the 10-month program she was offered a teaching position at the centre. Fast-forward years later: Her very own store showcases various and unique forms of art like moose hair tufting, fish scale art, porcupine quill work, beadwork and moccasin making — all of which are done in-store by Jobin and her family. Beading is one thing customers may know Moonstone Creation for. Another may be because the store might bring nostalgia to many of them. 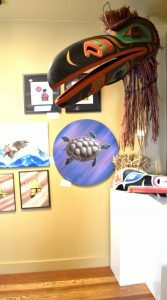 People come in and say “Oh it smells like home” or “Oh my dad used to work up north and he used to bring us moccasins,” says Jobin, reassured of the work she has done. Jobin also spoke of having to deal with companies that source their products overseas but regardless of that Moonstone Creation is “about being local and accepted,” representing over 50 other Aboriginal artists in their store. 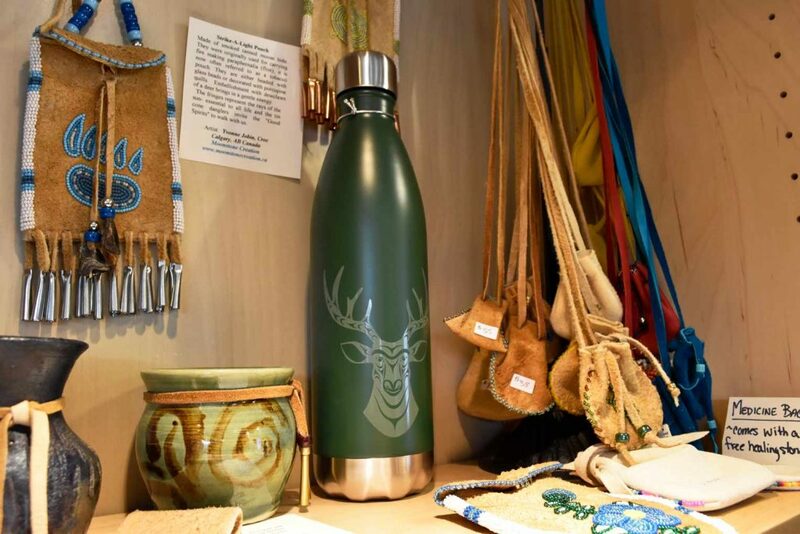 To top that off, the store also offers classes in the decorative arts as Brothers, Willier and Jobin teach art enthusiasts how to do traditional beadwork, moose and caribou hair tufting, fish scale art and moccasin making. But that’s not all. The cherry on top comes with Jobin’s 20-year experience as a marriage commissioner.